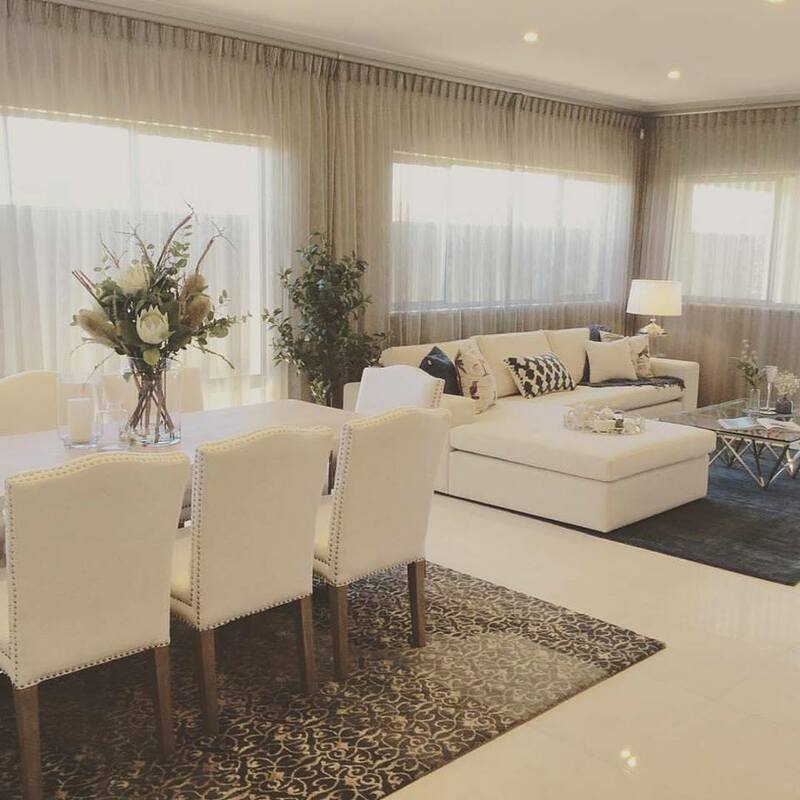 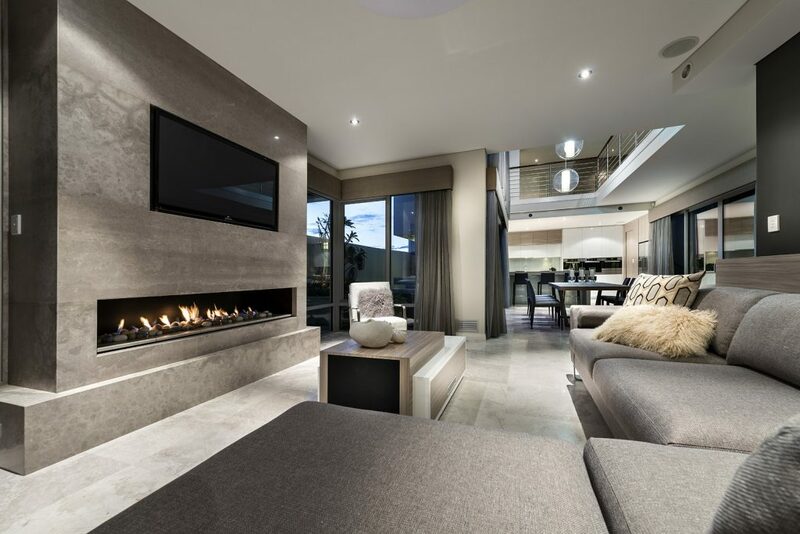 You will not find too many new homes these days that don’t feature open-plan living spaces. 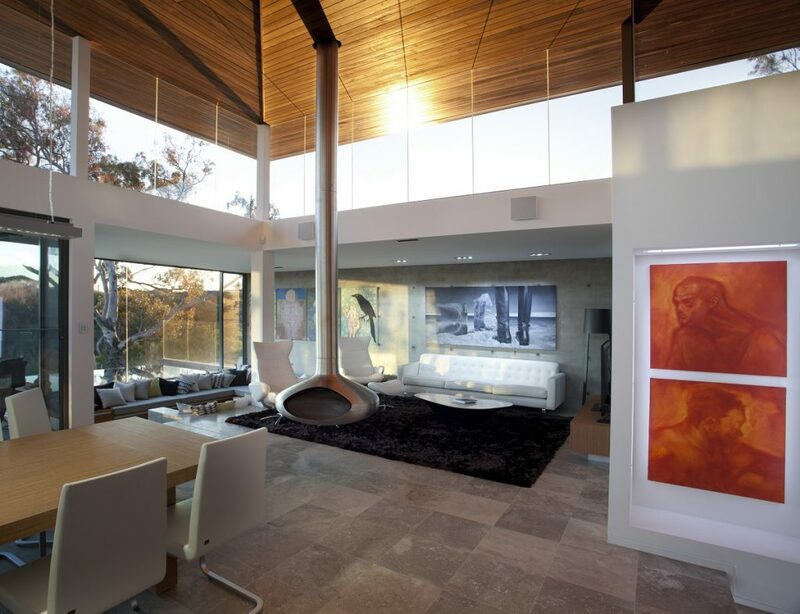 In fact looking back at older homes with closed off rooms it’s easy to wonder what they were thinking. 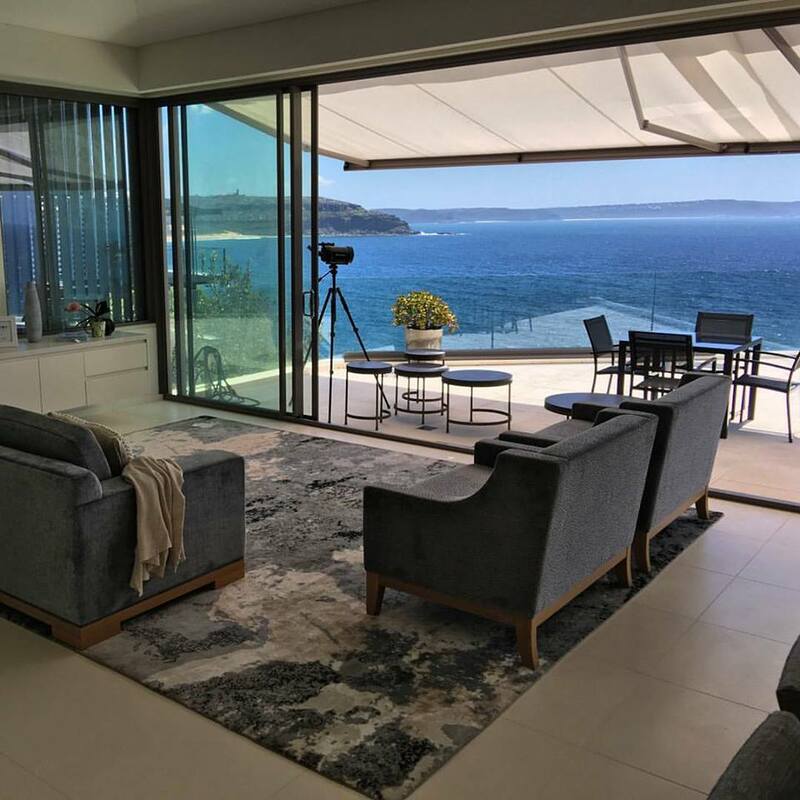 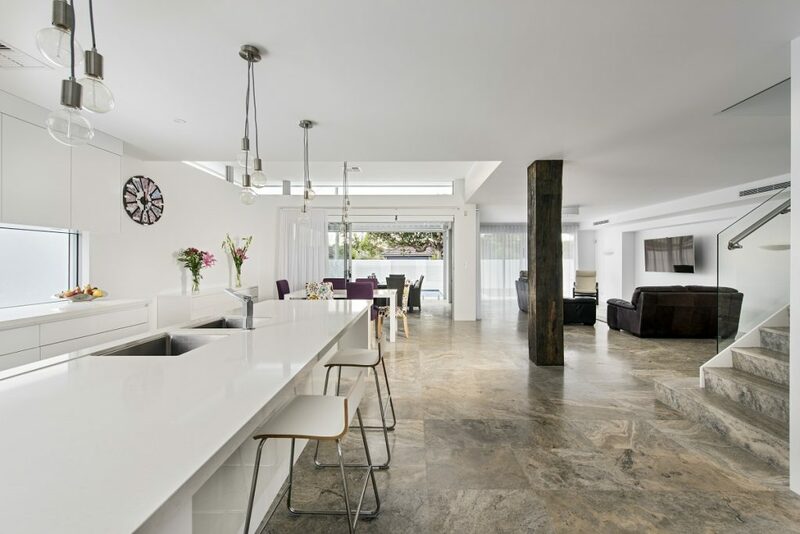 The reason for the new trend toward open plan living is really quite simple, we’ve changed the way we live and we’ve recognised it by designing a home that better suits our modern lifestyles. 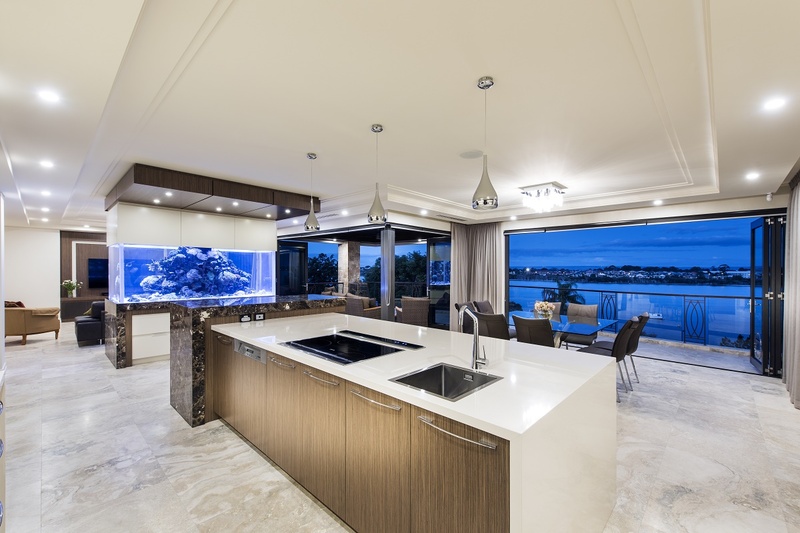 With entertaining such a big part of our lives we’ve realised that the ‘cook’ no longer wants to be segregated to a separate kitchen to prepare the meal, and the open-plan kitchen / dining / living format allows for more family time whilst undertaking chores. 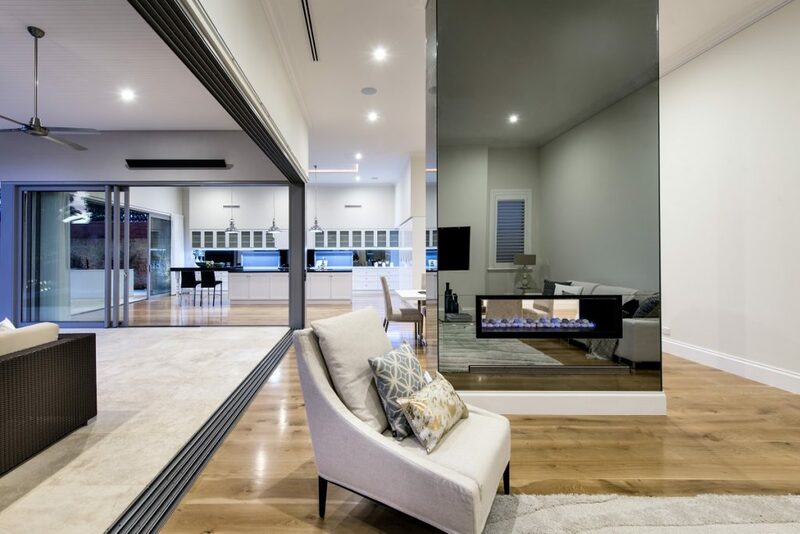 Homes also appear more spacious with an open-plan design and with clever design initiatives like the examples below, separate zones can be defined in very large spaces whilst still maintaining the large, open-plan aesthetic. 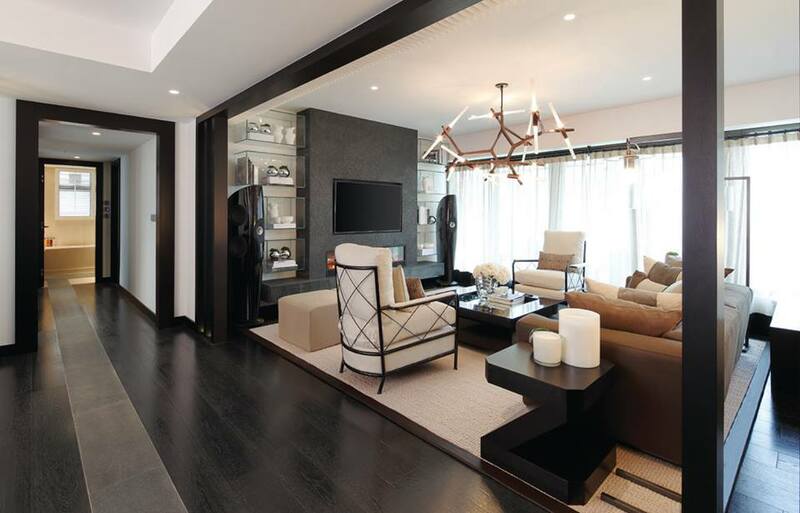 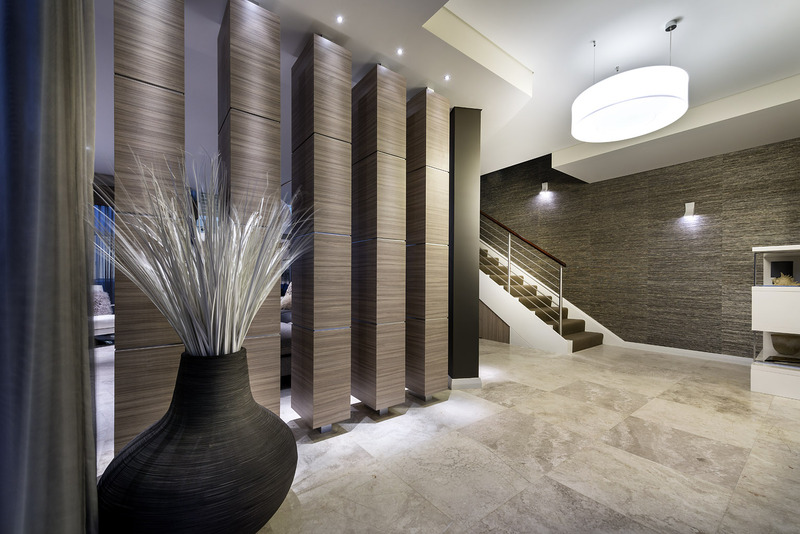 In this project by leading interior designer Kelly Hoppen a stone runner in the timber floor provides delineation of space. 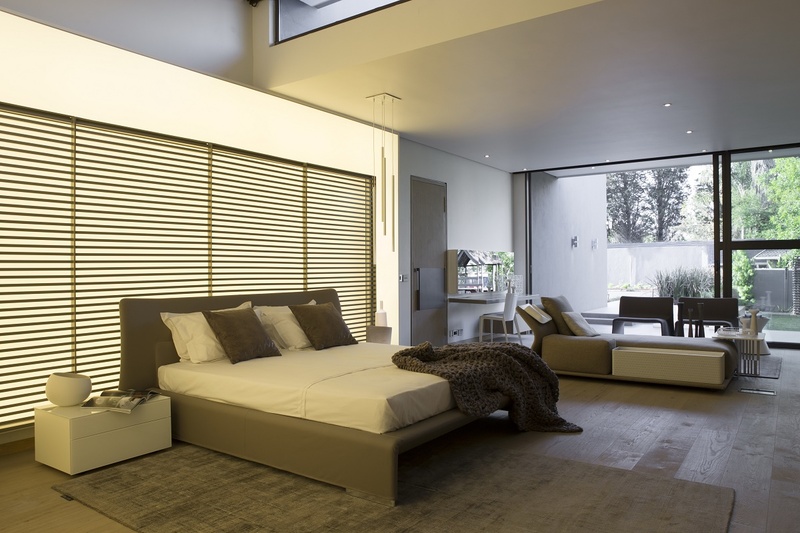 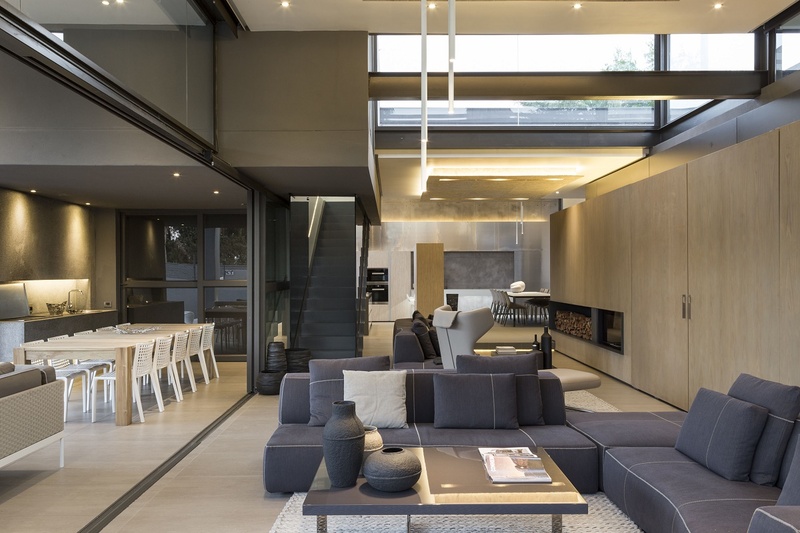 From masters in Open-Plan design, Nico Van Der Meulen Architects, change in flooring creates a separate zone in a very open room. A reclaimed timber jetty pylon in this home by Perth custom home builder, Maughan Building Co has been used to subtlety separate the living area space and add a feeling of warmth to the room. 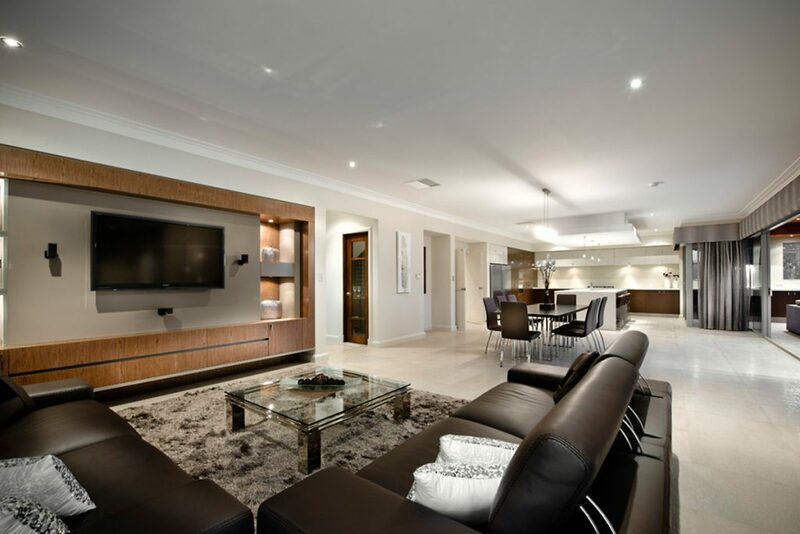 In this home by Tallwood Constructions, a hanging fire place defines the space between the dining and lounge area, whilst a sunken area creates another separate lounge area below. 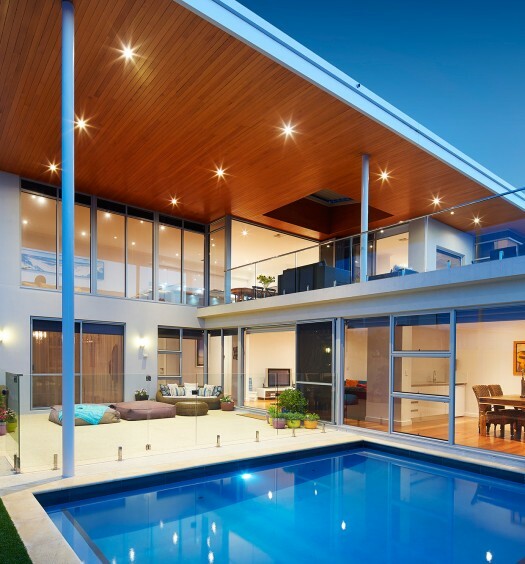 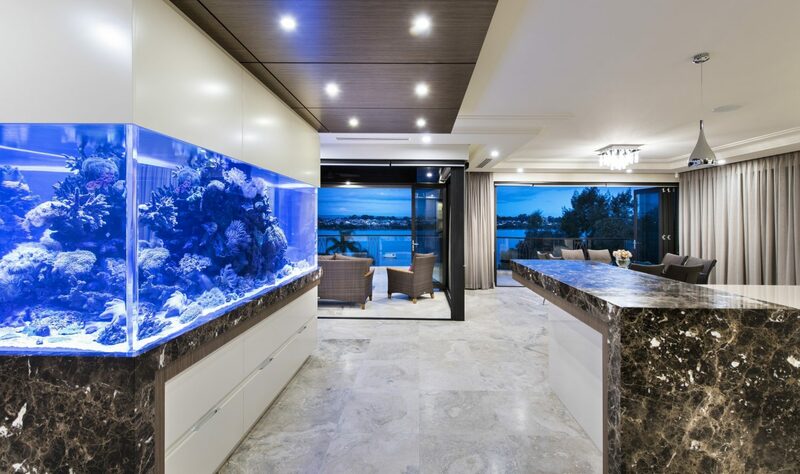 A custom made fish tank in this house by Luxus Homes divides the room whilst maintaining the open feel. 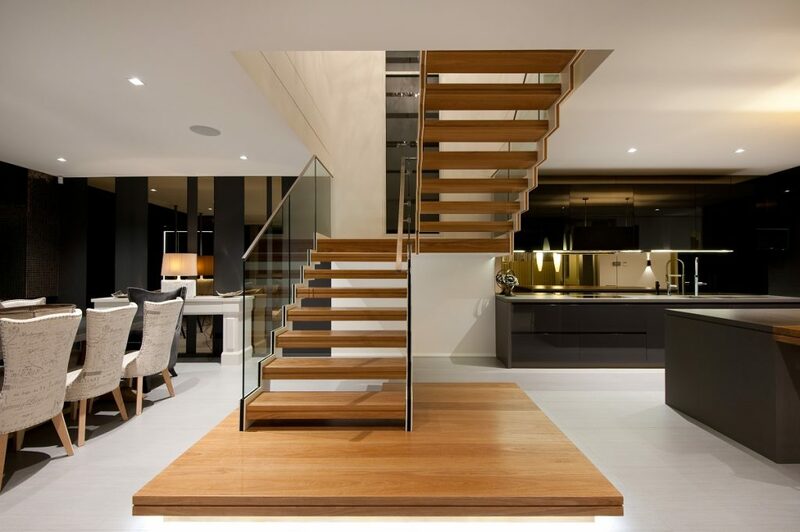 A staircase in this home by Sydney custom Home builder Tecton Group separates the kitchen and dining in this large open area. 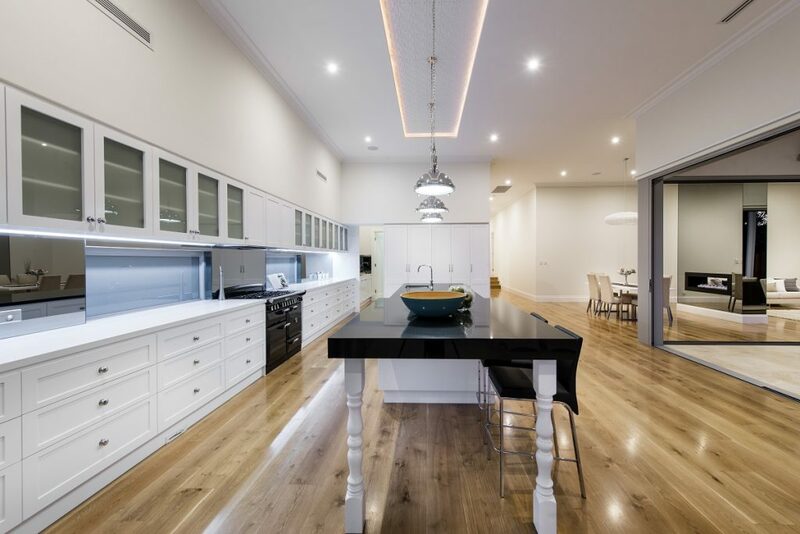 In both of these beautiful homes by luxury custom home builder Zorzi, custom built cabinetry has been used to define spaces. 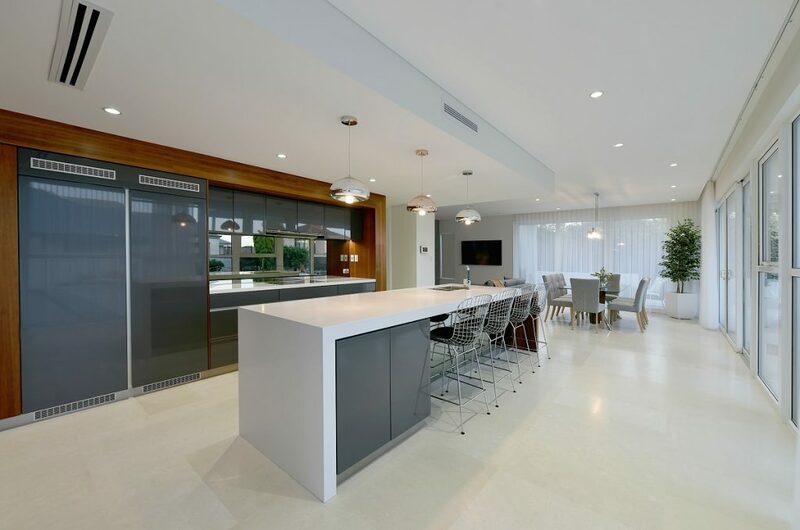 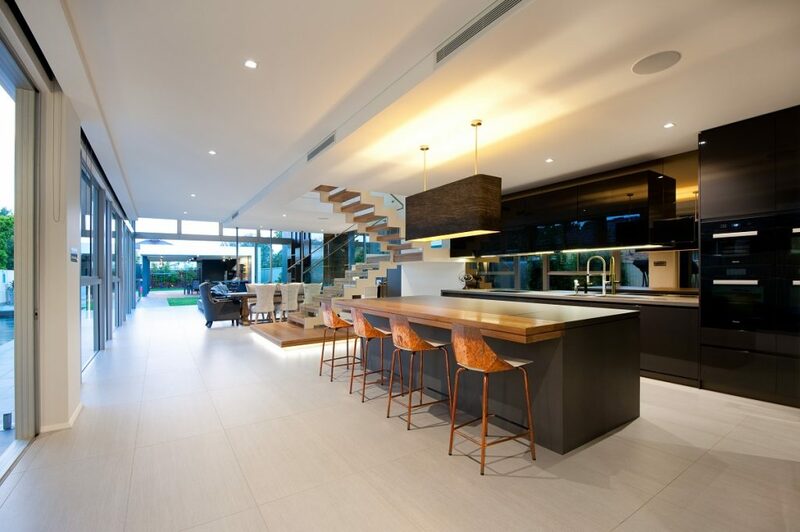 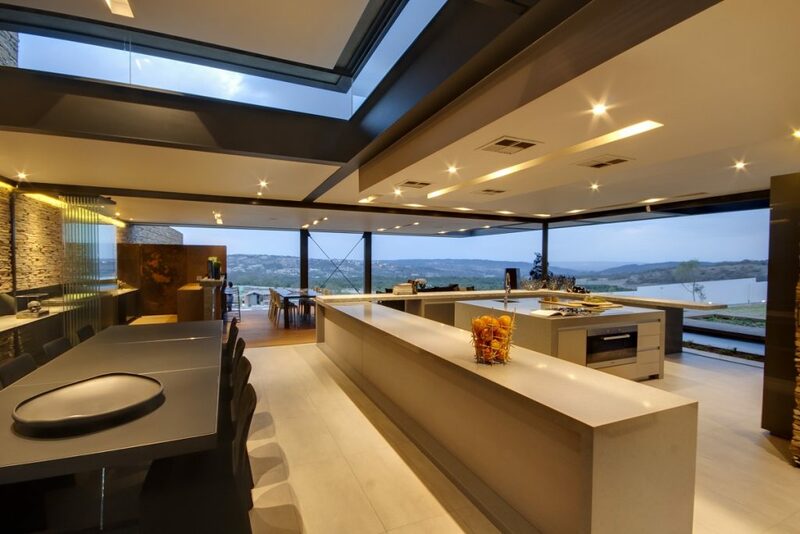 In both of these homes dramatic voids overhead define the dining areas in the open-plan space. Looking for more custom home ideas? 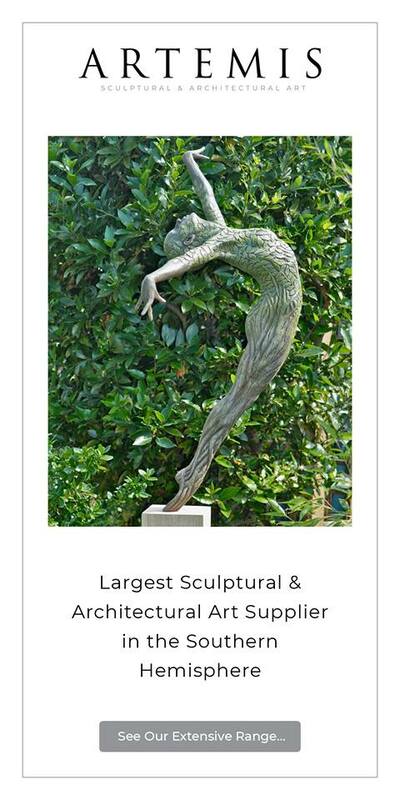 Try a keyword search for more articles. 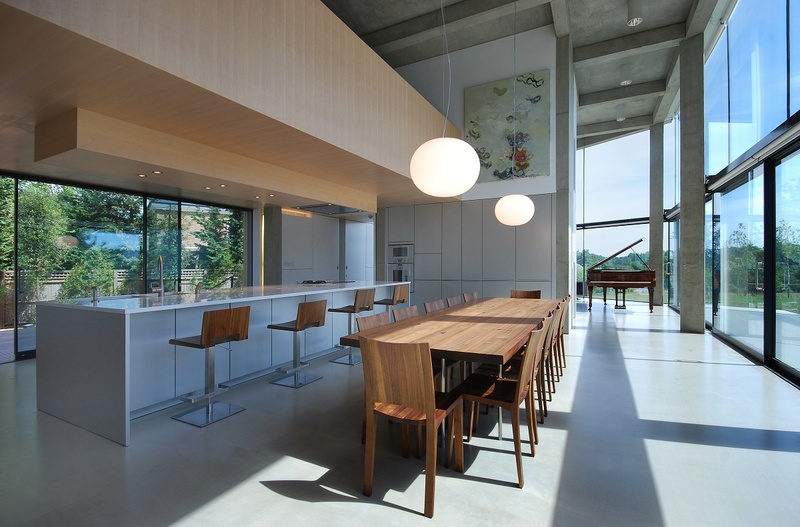 I really appreciate this article it’s given me some great ideas as was very sceptical about completely open-plan design!